Sleeps multiple guests with a mixture of triple bunk beds, with a large double on the lower deck and singles chair beds and sofa beds. Great for large groups of friends, families and business travellers, with high-speed wifi throughout. 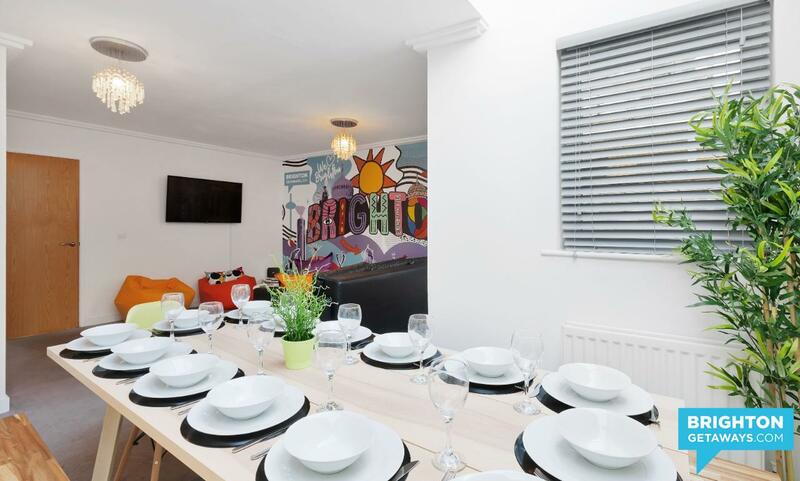 This amazing newly refurbished house is nestled in the heart of Brighton in the popular North Laine area. 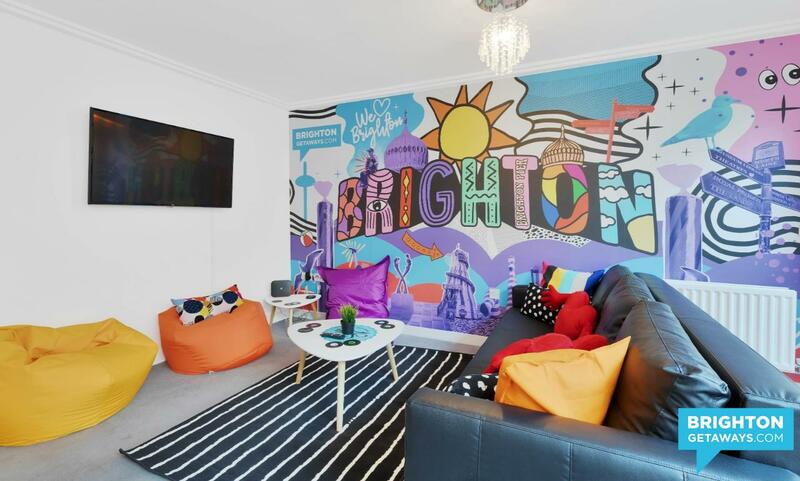 Through the front door, the hallway on the ground floor leads you into the bright and modern lounge which is tastefully decorated with bright original Brighton artwork, colourful soft furnishings, huge smart TV with netflix access, large chunkly sofa bed and massive dining table, perfect for large groups, plus access to the ground floor patio. 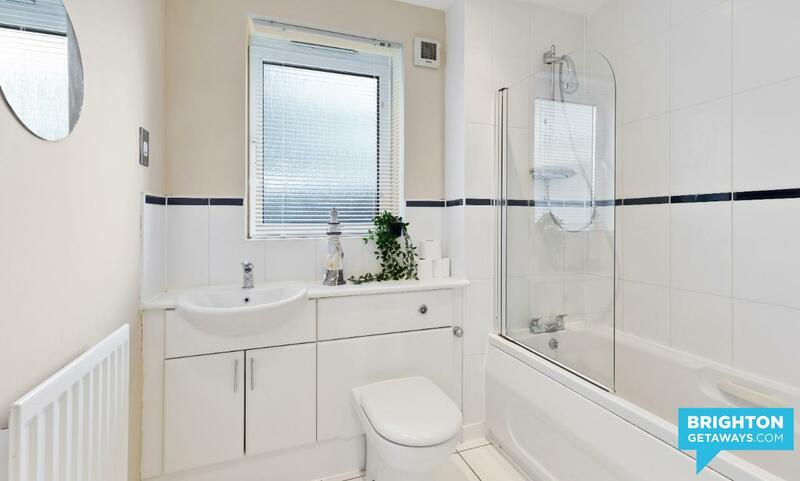 Also on the ground floor is a separate toilet, with washbasin and fully equipped kitchen, with everything you need to enjoy this home away from home. 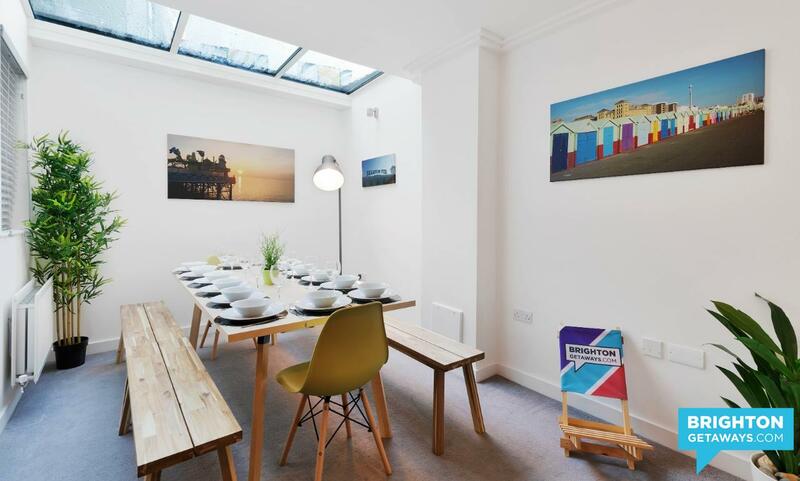 The dining area overlooks the courtyard with a window and glass roof which let lots of light into the room. 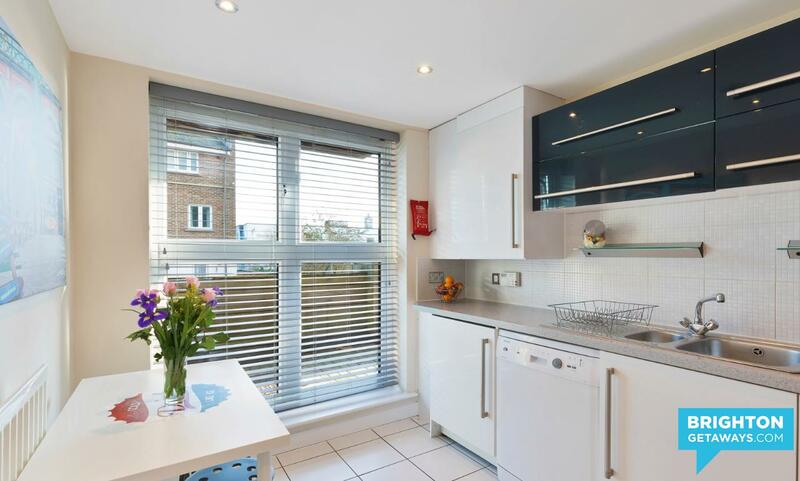 The kitchen is equipped with a fridge freezer, dishwasher and washing machine. 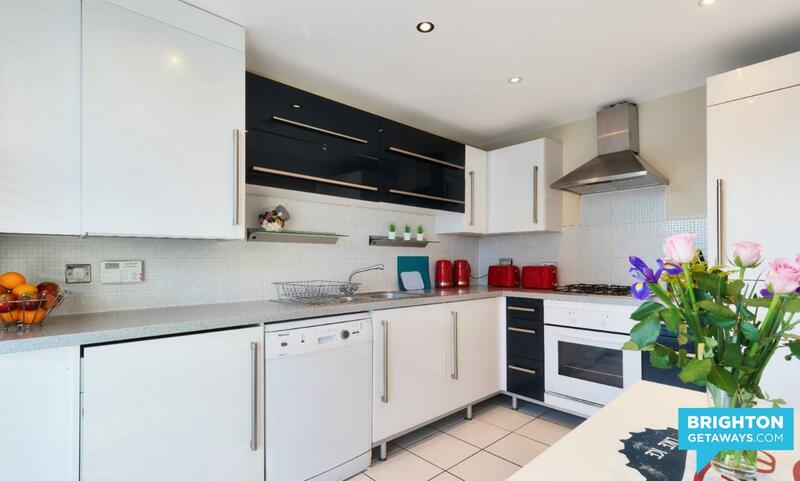 Everything you'll need to cook a meal is provided, plus complimentary tea and coffee, so please help yourselves! 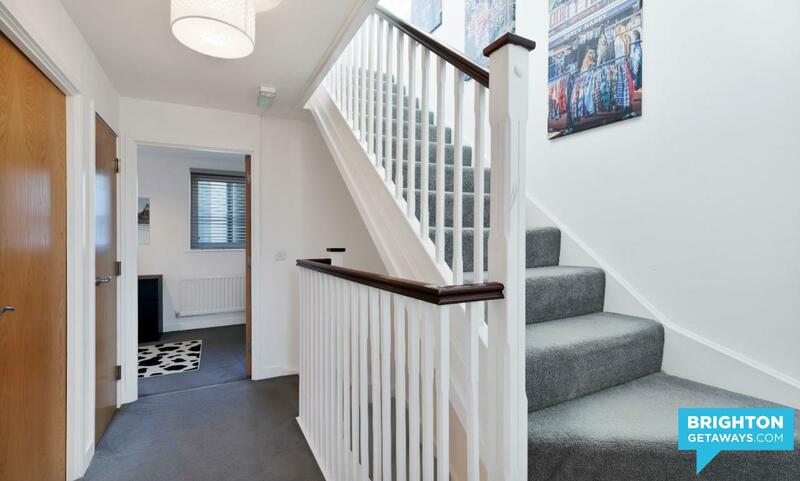 Up the stairs to the first floor, is bedroom one, bedroom two, a family bathroom and an en suite shower room. 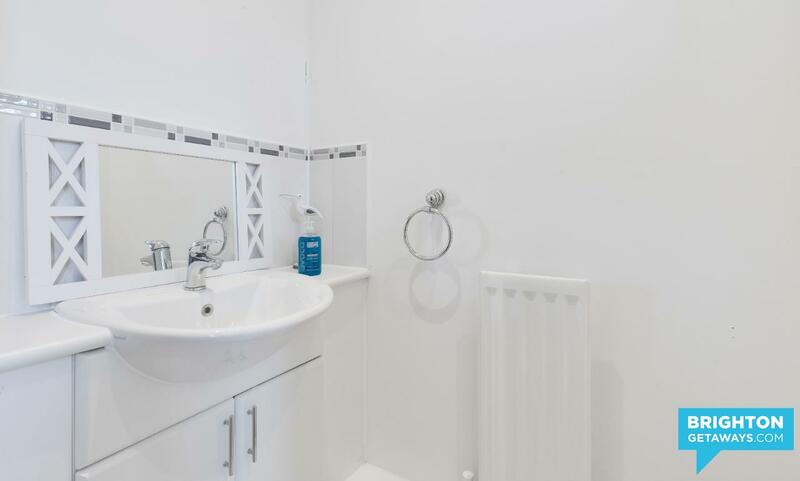 We supply toiletries such as soap and shampoo, and plenty of towels are provided for everyone. Bedroom one, 'The Marilyn Room', which is situated at the back of the house. 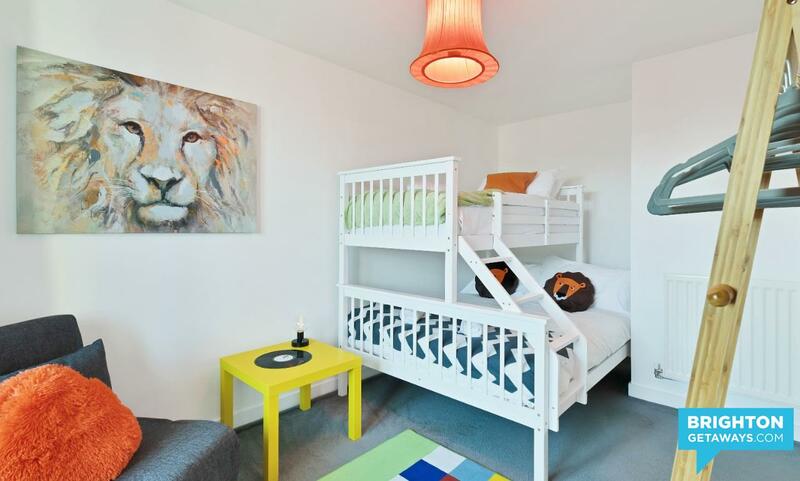 It is tastefully furnished with a triple bunk bed. 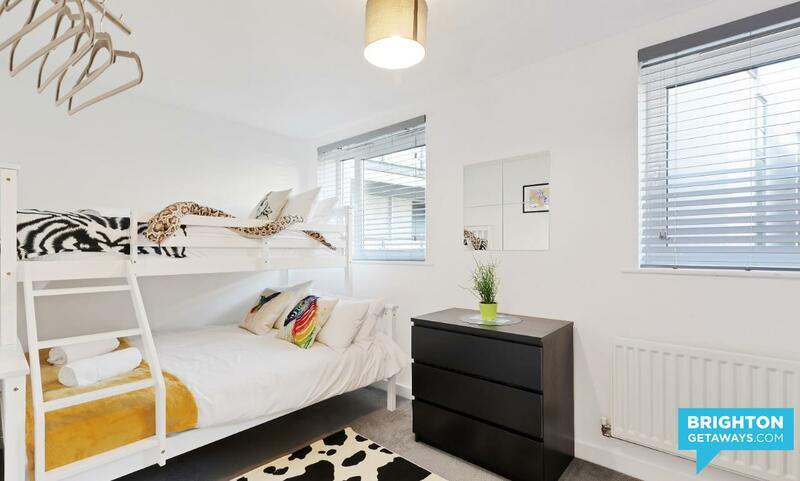 The room has everything you need to make it a really comfortable stay including some hanging space, a full-length mirror and a bedside table. 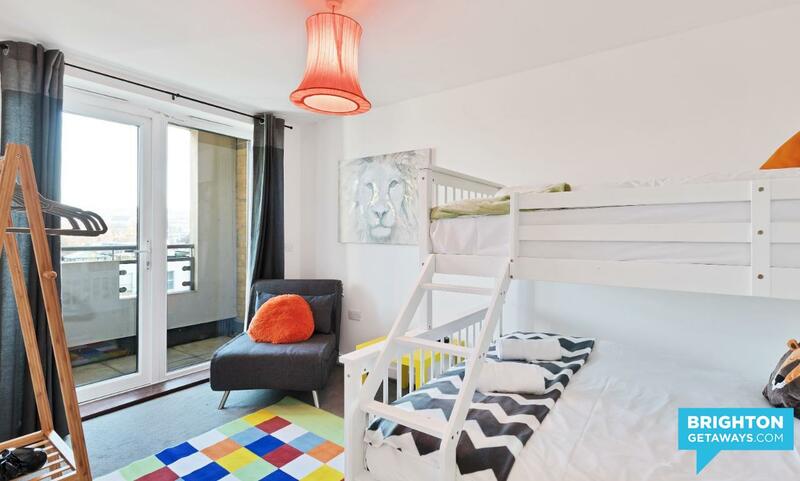 Every bedroom is supplied with its own hairdryer. 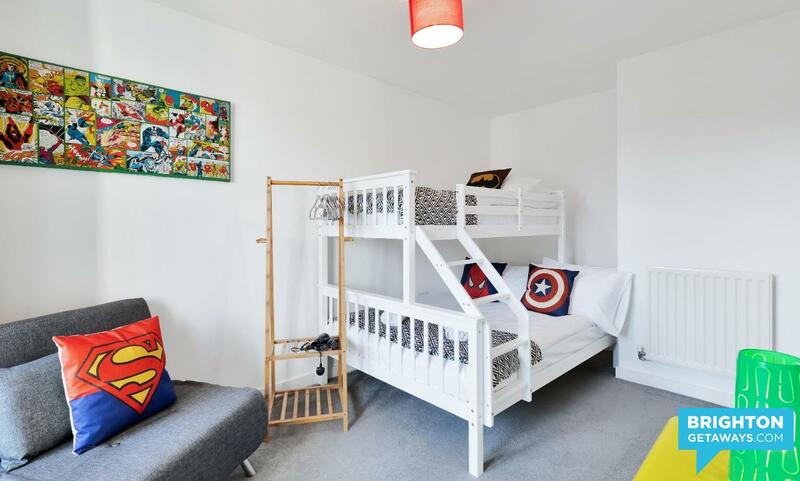 Along the hallway is Bedroom two, 'The Superhero Room', which is at the front of the house. 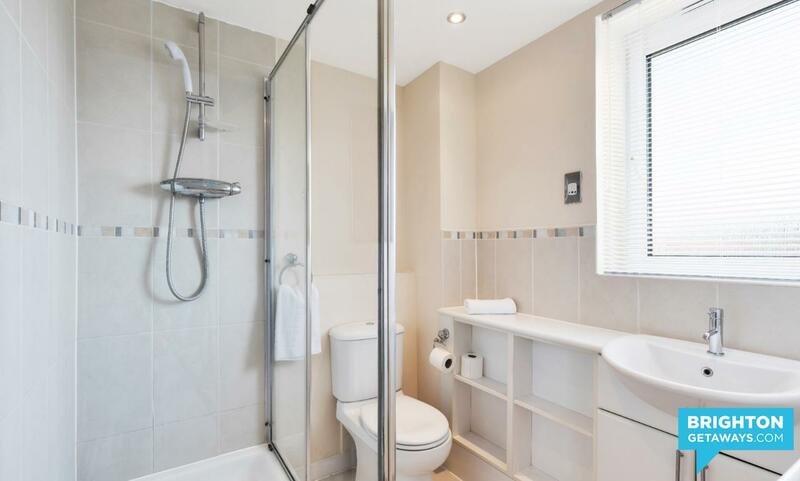 This room has an en suite shower room, with a full-length mirror and a triple bunk bed. 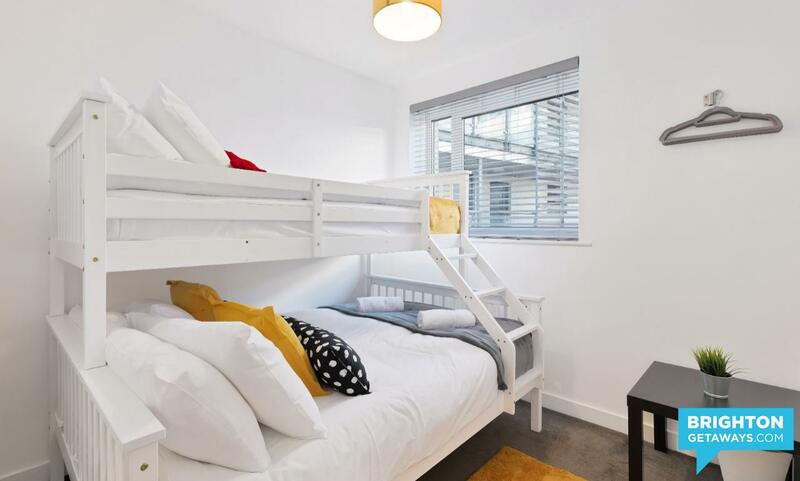 The triple bunk bed has a full-size double bed on the lower deck and a full-size single bed on the upper deck, also in this room is an additional single chair bed. 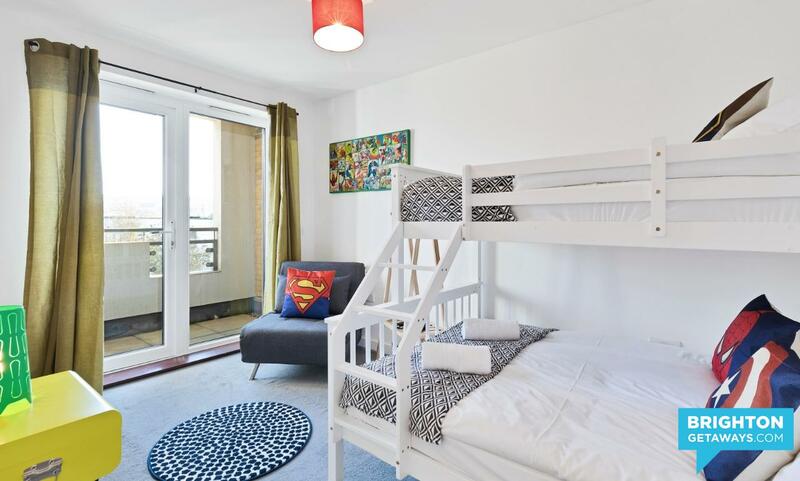 This room has fun superhero-inspired decor, as well as a hanging rack to hang your clothes. 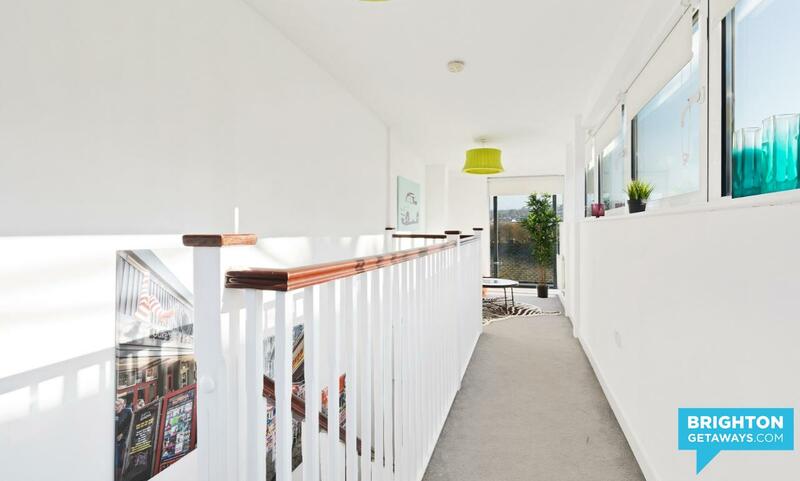 The bedroom has a small balcony to view the City and enjoy the fresh sea air. 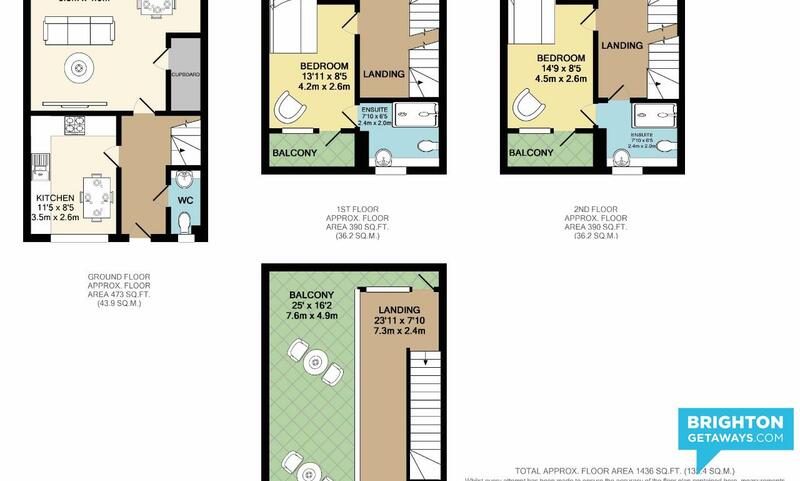 Upon the second floor, there are two more double bedrooms; first at the top of the stairs is Bedroom three, 'The Animal Room'. 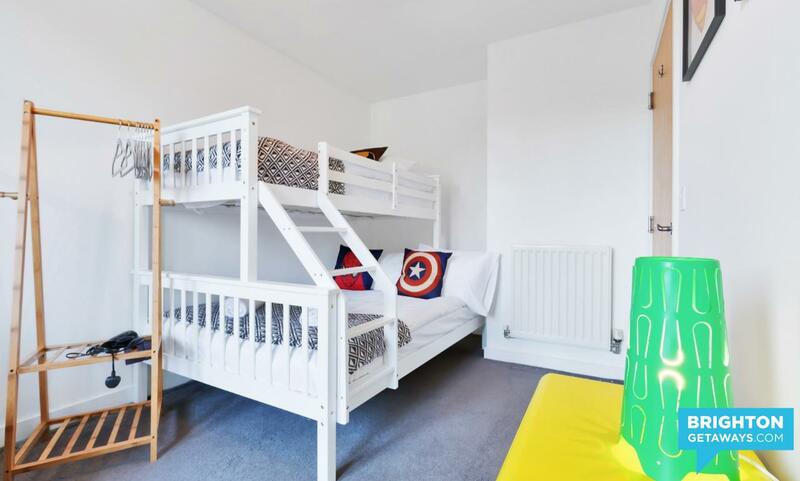 Situated at the rear of the house, this room has a triple bunk bed and a further adult size standard bunk bed. 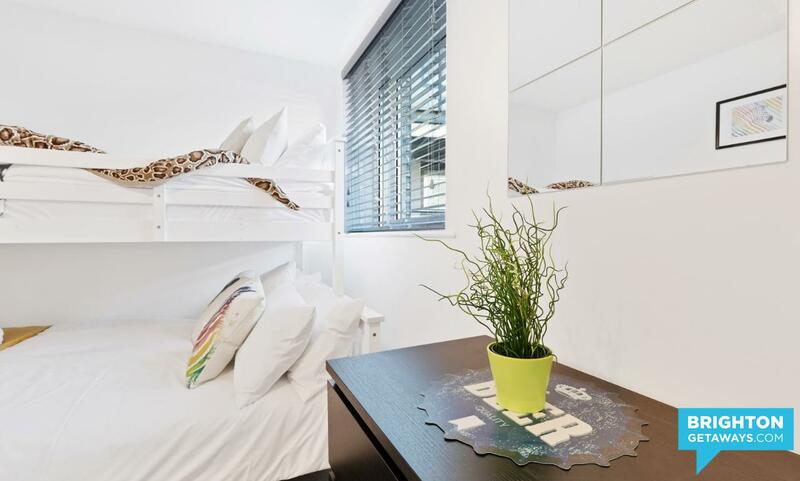 The room is equipped with a chest of drawers, mirror, hanging space and hairdryer. 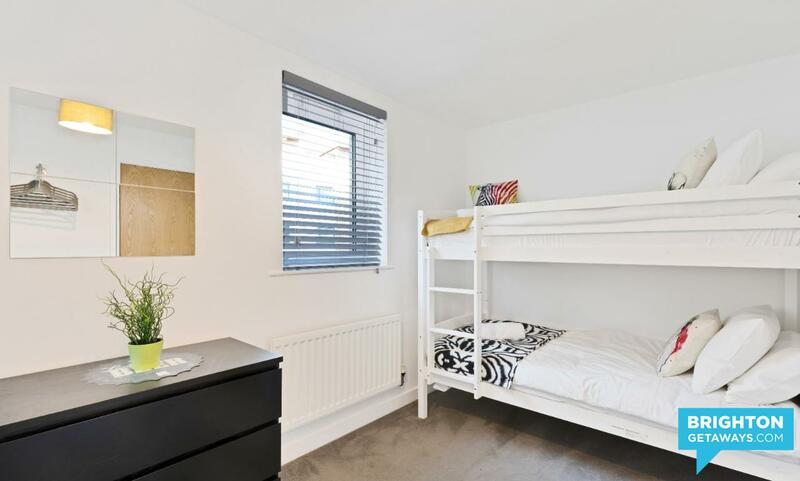 At the front of the house is Bedroom four, 'The Orange Room' This room also has a triple bunk and a single chair bed, plus a jack n jill ensuite shower room, that can be accessed from the hallway or the bedroom. 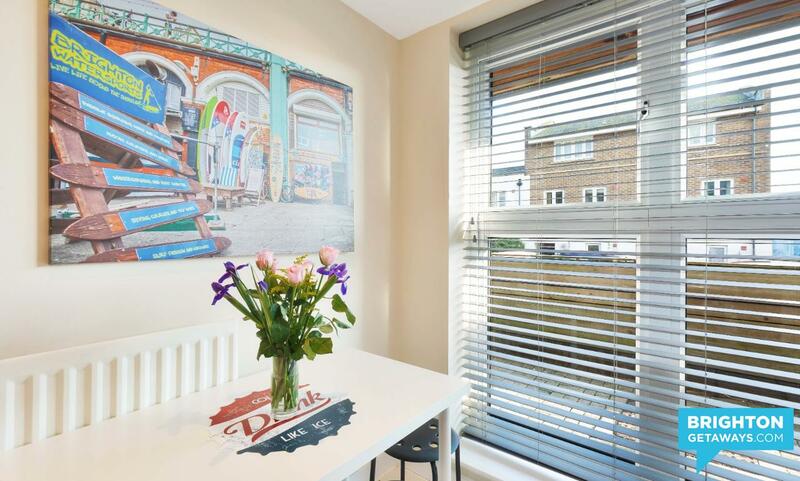 The bedroom has a small balcony to view the City and enjoy fresh sea air. 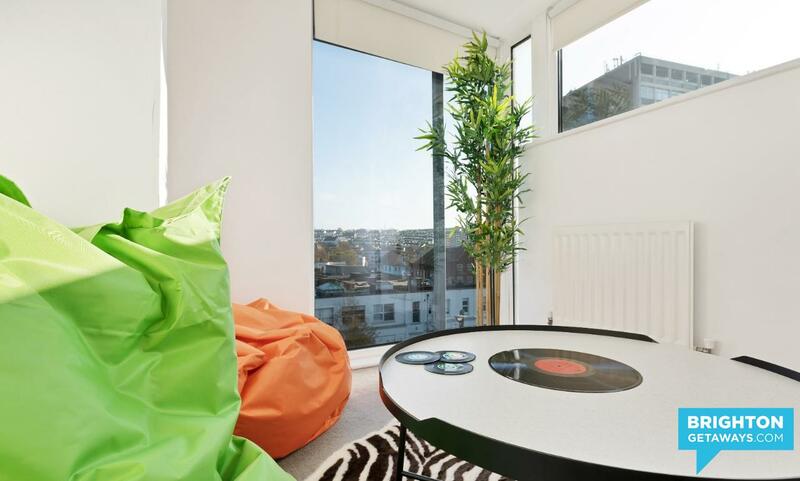 The orange room is fully equipped with a chest of drawers, full-length mirror, handing space and a hairdryer. 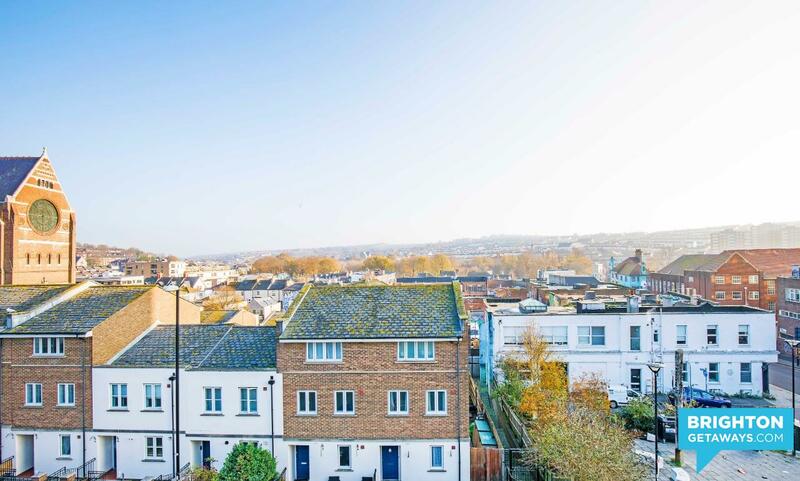 Finally up to the third floor for access to roof terrace and a chill out indoor space with bean bags and a great floor to ceiling glass window views of the City. 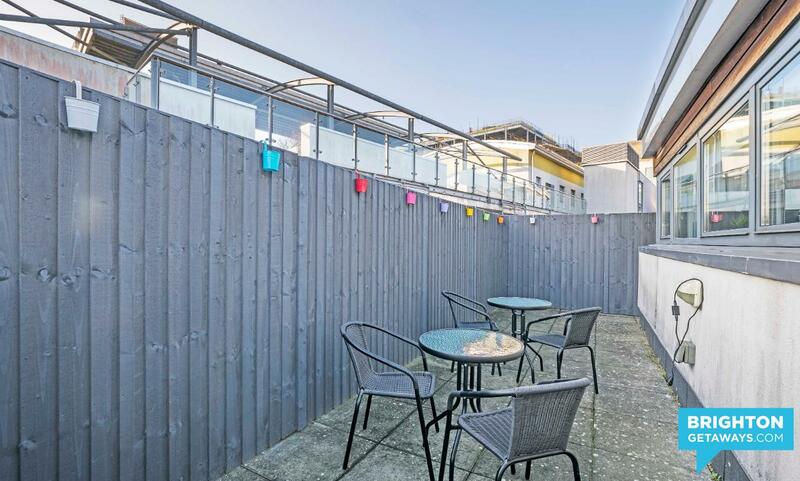 Roof Terrace, Fantastic outside space where you can view the City, have a drink and enjoy the sea air, with festoon lights and privacy screened fencing. 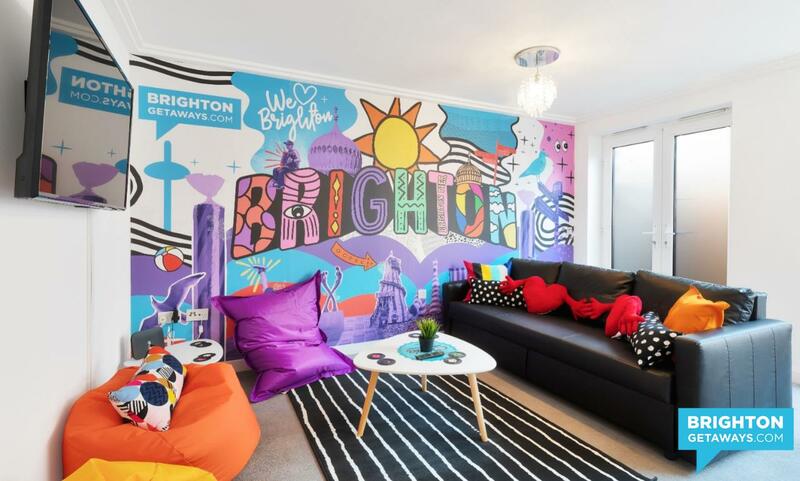 All of the bedrooms have been thoughtfully furnished with cosy cushions and colourful artwork, hairdryers, mirrors and hanging spaces. The beds are made up with fresh white hotel-style linen and we provide plenty of towels for everyone.